Beardo Offers | Hurry Up Get 20% off on all products. 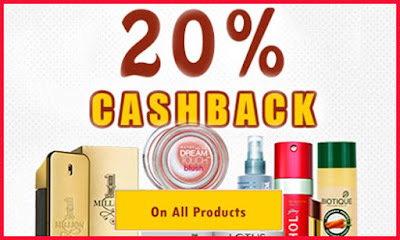 Keep in mind, user must use coupon- 'First20' to get 20% discount. This offer is applicable to all products, users can use this coupon on all products. No minimum cart value is required, the user does not need a minimum price to buy any product. This coupon is Valid for new users only. This coupon is valid only for limited period.